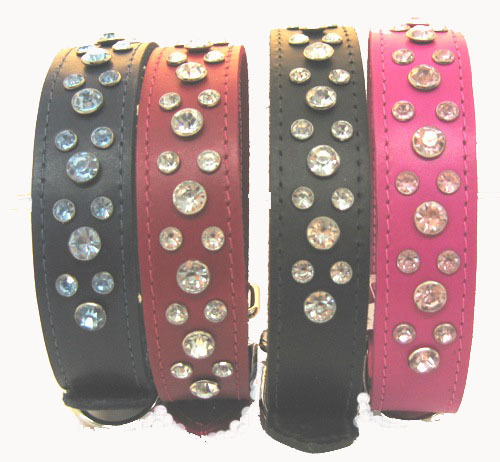 1 1/4 Wide Jeweled Leather Collars 1 1/4 Wide Jeweled Leather Collars  - $35.00 : Your Pet Store, Made in the USA! 1 1/4" wide leather collars with jewels riveted on. Available in black, blue, red, pink, or purple. All collars are hand-dyed and hand-crafted in the USA. We apply a water-resistant coating after the dying process to protect the leather from light water exposure.